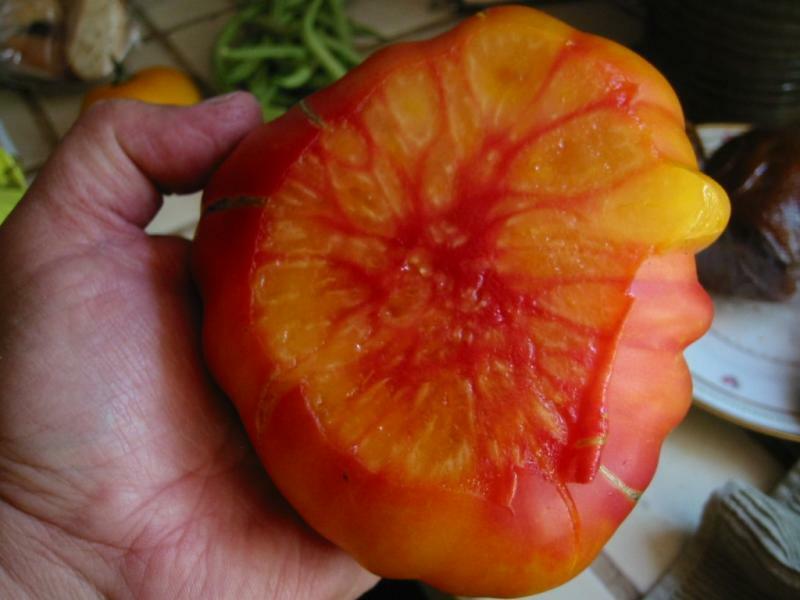 These heirloom tomato seeds produce Big, indeterminate, regular leaf plant which yields moderate crops of 1-2 lb. beautiful yellow tomatoes with red mottling and striping on the outside and throughout the flesh. Deliciously sweet and well-balanced fruity flavors. An exceptional, sweet tasting tomato with a slightly acidic finish.